If you have deep facial wrinkles, crevasses, or scars that you want gone, wrinkle fillers may give you the confidence boost you need. Over time, our facial skin naturally changes. Everything from a lack of collagen, a life spent laughing, or sun damage impacts the way that your face changes as you age. At Aesthetic & Dermatology Center, we understand that as your skin starts to lose volume and begins to flatten or sag, your confidence may begin to do the same. Our expert team is devoted to providing you the high-quality care that you deserve to get you back to living your best life and being your best self. At Aesthetic & Dermatology Center, we offer different wrinkle filler options that are tailored to address your specific needs. If you want to learn more about our wrinkle filler options, call our office today to schedule a consultation with our board-certified dermatologists. Getting older is a privilege, but there’s no reason why you can’t revitalize your skin and embrace your youthful appearance. Wrinkle fillers are an excellent way to give your skin and your confidence a boost. You’ve lived a life full of laughing, smiling, crying, and squinting; you’ll always have those memories, but you don’t need to live with the wrinkles. Wrinkle fillers aren’t just for wrinkles! Since wrinkle fillers can even the texture of your skin, some fillers are even great for acne scars. Hyaluronic acid: Hyaluronic acid fillers are a common type of dermal fillers and include brand names such as Juvéderm®, Belotero Balance®, and Restylane®. These fillers are particularly adept at adding volume and reducing any depressed areas of the skin like those left from acne scarring, wrinkles and lines, injury, and cheek depressions. Hyaluronic acid itself is a substance that is naturally found in your body and skin tissues. Calcium hydroxylapatite: Calcium hydroxylapatite is a substance that is found naturally in our bones. This type of filler is adept at filling in deeper facial lines and crevasses because it is reported to aid in the stimulation of your body’s natural production of collagen. Brand names for this type of filler include Radiesse®. Since each dermal filler is different, Dr. Green will recommend different fillers for treating different concerns. One of the filler options that we offer at Aesthetic & Dermatology Center is Juvéderm®. Juvéderm® is an injectable gel wrinkle filler that is made from hyaluronic acid. Hyaluronic acid is a naturally occurring substance that will not only add volume to your skin but will also hydrate it for a lasting effect. Your board-certified dermatologist will inject the gel under your skin to immediately restore your skin’s volume and smooth out wrinkles and lines on your face. Click here to learn more about how Juvéderm® can give your skin the boost it needs. Radiesse® is a wrinkle filler that is injected under the skin that stimulates your body’s natural collagen. Because of this, Radiesse® is a long-lasting dermal filler. fill in smile lines (marionettelines), nasolabial folds, and cheeks to add volume and give you a more youthful appearance. If you want to know more about how Radiesse® can give you long-lasting and immediate results, click here, or call our expert medical team today at (301) 610-0663 to schedule your consultation. Belotero Balance® actually fills in the area beneath your wrinkles instead of affecting the muscles under your skin like Botox® and Xeomin®. Like Juvéderm®, Belotero Balance® utilizes hyaluronic acid in the form of a gel in order to soften the appearance of wrinkles. If you want to know more about how Belotero Balance® can help you look younger, call our office today at (301) 610-0663 to schedule your appointment, or you can click here. Restylane® is a hyaluronic acid-based wrinkle filler that is designed to soften the appearance of fine lines and wrinkles while giving you a younger, more natural look and maintaining your skin’s natural plasticity and mobility. For moderate to severe lines, wrinkles, and baggy eyes, our board-certified dermatologists may suggest Restylane®. If you want to know more about how the natural-looking results of Restylane® can give you the lift and volume that you’ve been hoping for in a wrinkle filler, click here or call our office to schedule your appointment today. Since each dermal filler is different and excels at treating different skin concerns, what you can expect after treatment varies depending on the treatment you had. Furthermore, since every patient is different, it is difficult to predict accurate results until after you have had the treatment once. These treatments generally take only one office visit to complete, and you will likely be able to return to normal activity after your treatment is completed. How long the filler results are expected to last is entirely dependent upon the wrinkle filler that you and Dr. Green decided was best for you. In general, it is best to wait a full two weeks for any full face treatments like chemical peels or microdermabrasion after a dermal filler treatment. For more detailed post-treatment information, visit the individual pages for each filler here. This is your life! Live it the way you want it. If you’re ready to restore a more youthful appearance, don’t wait any longer. 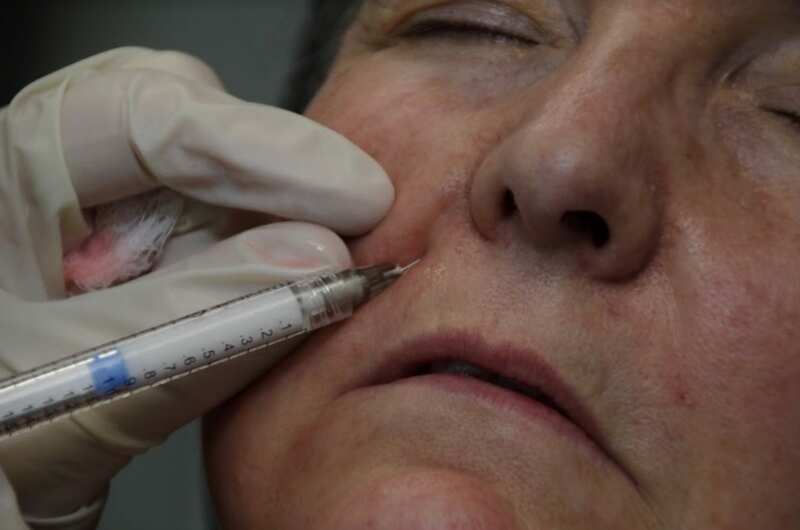 To determine the best type of wrinkle filler for you, call our office today at (301) 610-0663 or schedule your consultation online with our expert dermatology team at Aesthetic & Dermatology Center.